Complete your Christmas table with this sweet Snowman Honeycomb Centrepiece. Featuring a white fold-out honeycomb snowman this centrepiece is perfect for brightening up Christmas party tables and food trays. Complete your Christmas table with this sweet Santa Claus Honeycomb Centrepiece. Featuring a red fold-out honeycomb Santa this centrepiece is perfect for brightening up Christmas party tables and food trays. HONEYCOMB CHRISTMAS TREE. TWO TREES - 2 DECORATIONS . 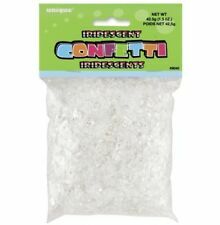 Iridescent Confetti. Can be scattered on the party table or sprinkled in the envelopes of the invitations. 42.5 grams. Centrepieces consist of a double sided Santa picture at the top and red honeycomb fold-out bases. Create a festive Christmas table with our cute mini Santa Claus Centrepieces! 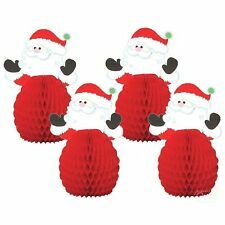 Santa Claus Mini Centrepieces (Set of 4). Bags are. 13cm x 20cm x 7cm (flat). 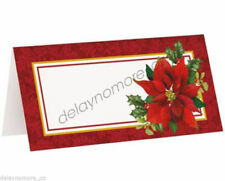 This red place cards are feature picture of Holly and Poinsettia. This elegant place cards will delight your party table. We will send you a reminder shortly after this if we have not heard from you. 3D CHRISTMAS TREE CENTREPIECE. TREE WOULD LOOK FANTASTIC. ON YOUR CHRISTMAS TABLE. DRESS UP YOUR WINE BOTTLES. FOR CHRISTMAS WITH THIS. 30.4cm x 24 cm. CAUTION: This item is not a toy. Not suitable for use by children. For decorative use only. If you require your item urgently, let us know and we will help out where possible. 3 sizes are available in this range with also matching drink ponchos and cactus pillows in the range. • 33cm Width. Printed Christmas Table Runner - 1.8m. • 1 x Table Runner. going back to your checkout. B ank details will be displayed at the checkout. How does this work?. Arrange a dazzling table display with this gleaming Plastic Foil Red Tablecloth. Spread it over any table to create the base for your cake table, snack bar, gift drop-off, craft area, or any other party station. This cover printed withNutcracker Soldiers perfect for covering your party table for a Christmas party or Christmas event. We will send you a reminder shortly after this if we have not heard from you. 'HONEYCOMB SANTA HAT'. TWO SANTA HATS - 2 DECORATIONS . This cover printed with Silver Snowflakes & Reindeer perfect for covering your party table for a Christmas party or Christmas event. Item for sale is 1 x Christmas Photo Fun Signs 6"-10" - Pkt 12. Item for sale is 1 x GOLD SPARKLE CHRISTMAS 16 FOIL STAMPED LUNCHEON NAPKINS. Christmas Sitting Santa Air Filled Balloon. Christmas Sitting Santa Air Filled Balloon. To be inflated with air only - carefully insert straw (provided) into hole in balloon base and blow air into it through there. 2018 Designer Christmas Table Bon Bons 35.5cm. 6 Bon Bons per Tray. Add a touch of luxe to your 2018 Festive proceedings with this set of gorgeous Silver & White Glittered, Wide Barrel Christmas Crackers. Each wrapper includes double size sticky tape,simply wrap your candy or cutlery and close with the tape. 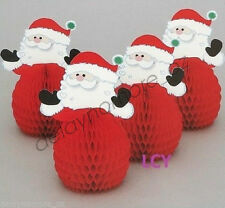 This cute Santa Claus wrapper made of paper approx.19.5 cm L x 6.4 cm W(Folded), 19.5 cm L x 17.5 cm W (Open). Sitting Santa Air Filled Balloon. Set a festive scene on your Christmas table with our Sitting Santa Air Filled Balloon! Sitting Santa Air Filled Balloon. To be inflated with air only - carefully insert straw (provided) into hole in balloon base and blow air into it through there. Shelves or as part of a tabletop decoration or centrepiece. Mats are constructed of tissue grass that is expandable. These White Tissue Mats can be used for many occasions. These white tissue mats can be used on top of tables. Santa Mini Honeycomb Centrepieces (Set of 3). 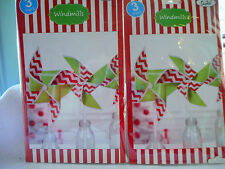 Christmas Mini Centrepieces have a double sided Santa picture at the top and white honeycomb fold-out bases. Decorate the Christmas table, food platters or the mantle piece with these cute Christmas decorations. With this Snowflake Swirls Lightweight Plastic Table cover. and you will need a white cloth under to. show as in photo. Item for sale is 1 x GOLD SPARKLE CHRISTMAS TABLECOVER 137cm X 213cm (54" X 84"). Christmas Party Supplies Wine Bottle Labels. Item for sale is 1 x GOLD SPARKLE CHRISTMAS 8 X 18cm (7") FOIL STAMPED PAPER PLATES. In the shape of a Frosty the snowman-style character, these fun centrepieces will bring a wonderful, wintery Christmas feel to your Christmas party - use them on top of your party tables, food platters or fireplace for a festive North Pole setting. Item for sale is 1 x GOLD SPARKLE CHRISTMAS 16 FOIL BEVERAGE NAPKINS. 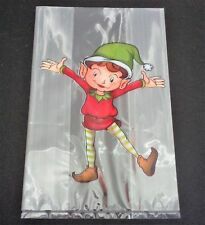 This cover with elegant design perfect for covering your party table for a Christmas party or Christmas event. You will receive 20 paper doilies as pictured. 1 x Christmas Tree Honeycomb Centrepiece. Complete your Christmas table with this sweet Christmas Tree Honeycomb Centrepiece. Featuring a green fold-out honeycomb Christmas Tree this centrepiece is perfect for brightening up Christmas party tables and food trays. 9 NAPKIN RINGS. IN HAND MADE GLASS. DESIGN AS PER PICTURE BELOW. 9 PLACE CARDS. Any problems at all?. AS SUCH YOU ARE ASSURED OF A GENUINE, HIGH QUALITY PRODUCT AT A GREAT PRICE. NEW IN BOX. Complete your Christmas table with this sweet Santa Claus Honeycomb Centrepiece. Featuring a white fold-out honeycomb Santa this centrepiece is perfect for brightening up Christmas party tables and food trays. 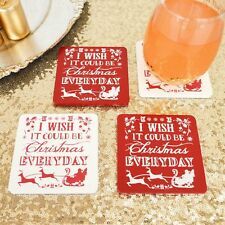 Adorn your Christmas table with decorations available on eBay! Party season is upon us and if you’re the hostess with the mostest, you’ll already be planning your festive celebrations. Whether you’re having friends over to yours, planning a Christmas meal out, or throwing an office Christmas party, there’s one thing you’ll need – Christmas party table decorations! Shop the range on eBay today and make it a Christmas to remember. Throwing a Christmas party at yours? Turn your home into a winter wonderland with fake snow confetti and Christmas party balloons. A Christmas party isn’t a party without deliciously festive party food. If you’re putting on a spread, really go to town with a Christmas table cloth, crackers, and a festive centre piece. Make your friends and family feel special with personalised Santa hats and name cards. You can find everything you need here on eBay in a few simple clicks. Have you been tasked with organising this year’s office Christmas party? Once you’ve got your venue sorted, it’s time to get waving your magic wand and turning the space into a festive grotto. You could get the professionals in to decorate but where’s the fun in that? 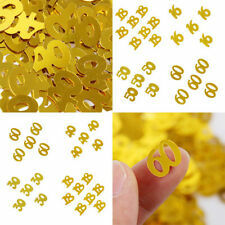 Plus company budgets can be tight, so where better to get great value decorations than on eBay? Why not break the ice between colleagues with some fun Christmas party gags to lighten the mood? eBay has everything you need for the festive season. Start shopping for all your Christmas party decorations today in just a few simple clicks.